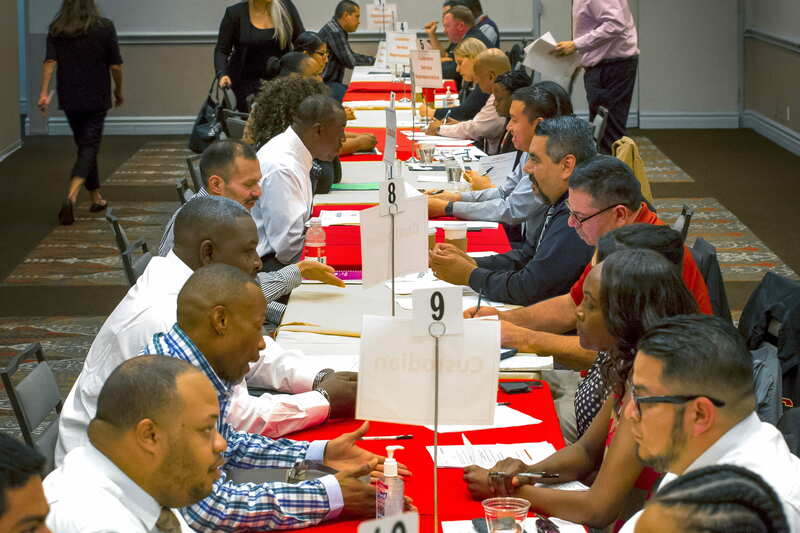 The University of Southern California is an equal opportunity employer and educator, proudly pluralistic and firmly committed to providing equal opportunity for outstanding men and women of every race, creed and background. For more information, visit here. 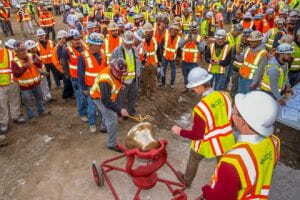 NBC News Los Angeles affiliate KNBC-TV featured a USC tradition setting roots at the USC Village, with a celebration of USC’s continued possession of the Victory Bell. More than 500 construction workers joined USC football head coach Clay Helton, members of the Trojan Knights and the USC Spirit Leaders to ring the bell at the 15-acre development. ABC News Los Angeles affiliate KABC-TV interviewed Willy Marsh, director of construction at USC Village, and workers at the site, in addition to highlighting the extensive progress on the USC Village. CBS News Los Angeles affiliate KCBS-TV also covered the event.